Gain your TEFL Certificate in beautiful Prague, including classroom experience and certification. Internationally recognized certificate, respected and recognized across the world. Full assistance provided throughout your placement. International teaching experience working with adults and children. Keywords: paid placement, teaching, TEFL, education, work placement abroad. Prague is often counted as one of the most beautiful cities in Europe, with breath-taking historical monuments, a vibrant cultural and social scene to boot. Located in the very centre of Europe, it’s the perfect base to explore the rest of the continent. With its relatively low-cost living, world-renowned beer and tasty food, it’s also the perfect place to get your TEFL-certificate. 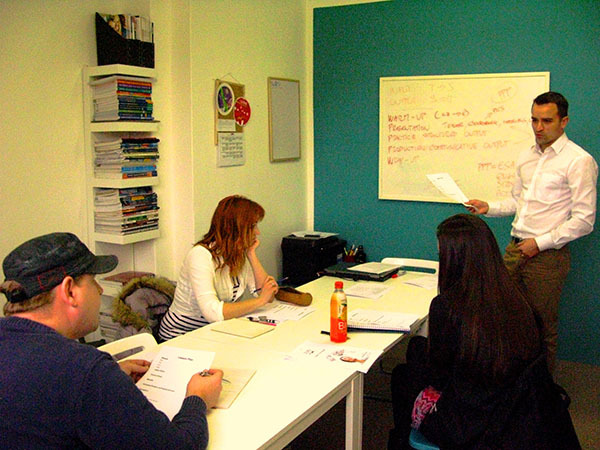 Getting your diploma in Prague, you will not only be able to teach English in the Czech Republic, but anywhere in the world. Take the chance to earn your certificate in the historical center, just a few steps from the Old Town Square and the iconic St. Nicholas Cathedral. You are guaranteed to truly soak up the culture and history of this magical city! As with many other countries in central and Eastern Europe, the demand to learn English is high in the Czech Republic, offering an interesting job market for qualified teachers. This accredited course is offered by a TEFL school with a highly individualized approach and comprises an intensive 4-week course, consisting of 90 hours of theoretical training and 30 hours of in-classroom teacher training. You will be thoroughly versed in teaching techniques and methodologies, learning how to teach using only English in the classroom. There are also options to include Business & Law English as well as Teaching Young Learners. At the end of your course, you will receive an internationally recognized certificate and have the option to start teaching immediately with some of the program partner schools in Prague or elsewhere. Alumni from this TEFL programme are currently teaching all over the world. The methodology of this course promotes an innovative training philosophy that focuses on hands-on experience. As you go through your training you will get plenty of classroom confidence by weekly reviewing of the theoretical skills covered in the course, as well as teaching more than 30 hours in-class at nearby language schools. You will have the chance to apply your new skills in your practice teaching sessions with real ESL students in local schools, preparing you for your new life as an English teacher abroad! Upon the successful completion of the training course, you will receive full assistance in finding a paid placement at one of the many private and public schools that the TEFL school works with throughout the Czech Republic. Schools are always looking for English teachers and it is very likely we will be able to place you either in Prague or in other towns of the Czech Republic. Please note however that we cannot 100% guarantee a placement as it depends entirely upon the requirements of the school and whether you are suitable to them. Full assistance will however be provided throughout the entire process. As the Czech school year ends in June and starts anew in September, the peak hiring season falls in July and August. Searching for a teaching job during this time means you will have more options, however there are still year-round opportunities in private language schools, institutions and organizations that offer classes throughout the year. The schools where you will be placed generally have between 300 and 500 students and are a mixture of private and government schools. Class sizes will vary depending on your school and might be up to 30 students. There are two semesters to each academic year, each semester being approximately 5 months in duration. Most schools offer many after-school activities for their students and generally have good equipment and resources, housed in modern buildings. Recreating facilities are generally of a high standard. 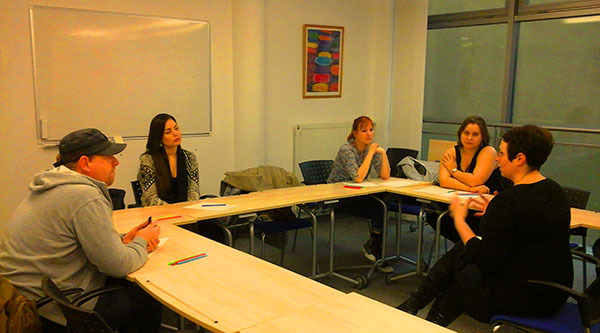 It is not uncommon to encounter foreign teachers at Czech schools. Upon arrival, you will be met at Prague International Airport by a program representative and taken to your training location and accommodations. During your training, accommodation is available in shared or private apartments close to the training centre. See Costs section below for further details on pricing. During your teaching placement you will need to find your own accommodations, however full assistance will be given during your search. Meet minimum requirements to enter university. Native English speaker or proven sufficiency for non-native speakers. Full travel & medical insurance. 4 week course: $1500 USD / £1100 GBP** Project Fee. * Placements are secured through a non-refundable $500 deposit on the project fee. Depending on your background and previous experience as well as location of your teaching placement, you can expect to earn around $800 – $1000 USD per month. Living costs vary between $400 and $650 per month depending on your type of accommodation and its location within Prague. The Project Fee includes full 120 hour TEFL training course and certification, all program activities and 24-hour in-country support. Accommodation, flights, work visas, vaccinations, insurance, food, accommodation and domestic travel are not included. Full assistance will be provided in getting all these arranged if you choose our Premium Support. Accommodation during the training is not included. You can choose from one of these housing options: private apartment: €16-20 EUR/night ($20-25 USD/per night), private bedroom: €12-15 EUR/per night ($15-19 USD/per night), twin room: €9-12 EUR/per night ($12-15 USD/per night). Airport pickup can be arranged for an additional $50 USD.